Max Ryan lives on the far north coast of NSW and is a keen member of local haiku group, Cloudcatchers. 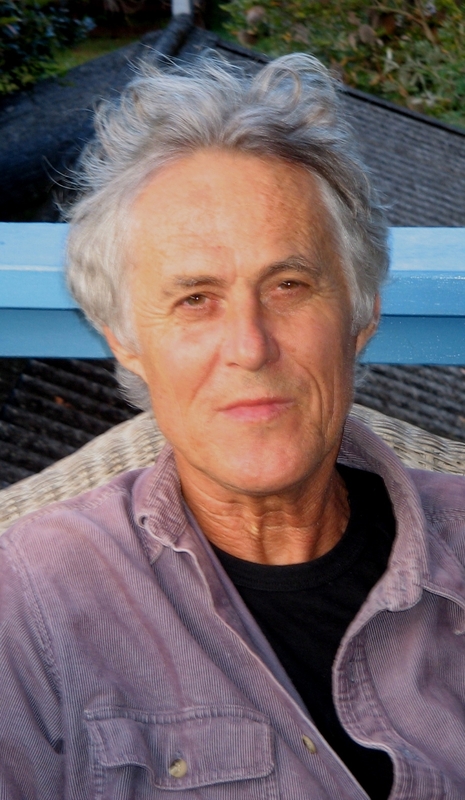 He is twice winner of the Byron Bay Writers’ Festival Poetry Prize. His book of free verse, Rainswayed Night, won the 2005 Anne Elder Award. He also collaborates with musicians including Melbourne duo Kid Sam and north coast violinist, Cleis Pearce. His collaborative CD with Cleis, White Cow, received several music industry awards. reminds me of so many packing day in far away lands, far away villages. It is most certainly a beautiful poem… I really think you would like Max’s work. His book, Rainswayed Night, is one of my favourites. Thanks, Dhyan (is that a Sanskrit name?) and yes it was written as a song, though with an unusual rhyming schema at the end of each verse, and I would love to see it brought to life in musical form. and i would be happy to hear it too, when it gets its melody. let us all know..
Really enjoyed this…beautiful and lyrical. Good to have come across you again,Max.It’s been a long time since our Newcastle Uni days.I too like haiku and,having lived in Japan for 20 years,could write haiku and tanka in Japanese.